Introduction of new products at the Winter CES in Las Vegas. Completion of the BRAX MATRIX ML loudspeaker series with the tweeter ML1 and mid-range driver ML2. Introduction of the MATCH Plug & Play amplifier PP 86DSP as a further development of the PP 82DSP amplifier. The HELIX and MATCH Extension Card series are complemented by the HD-AUDIO USB-INTERFACE. It extends HELIX and MATCH DSP products by a high resolution audio USB input and turns PCs or smartphones into HD audio players. First presentation of the BRAX GRAPHIC GX DSP at the CarMediaWorld in Salzburg. Introduction of the HELIX Q subwoofers for both, bass lovers and sophisticated music listeners. The P TWO complements the HELIX amplifier line with a compact 2-channel High-Res amplifier with integrated, active crossover and digital signal input. Introduction of the HELIX K 10W and K 12W subwoofers as well as the HELIX K 10E and K 12E enclosure subwoofers. The GL1 tweeter and the GL6 woofer extend Audiotec Fischer's high-end series BRAX GRAPHIC- of course made in Germany. Audiotec Fischer is celebrating 25th anniversary of its brand BRAX with a sound competition, a look behind the scenes of the Schmallenberg headquarters and a big party with live music. HELIX DSP.2 wins the EISA Award 2017-2018 as best product in the category "In-Car Processor". Expansion of the HELIX amplifier portfolio with the market launch of the HELIX D FOUR (4-channel amplifier) and the D ONE (1-ohm-stable monoblock) - both with integrated, active crossover and intelligent highlevel input. With the market launch of the new DIRECTOR CREATE, the HELIX program offers a unique tool with which the display remote control DIRECTOR can be installed individually within the vehicle interior. With new warehouse- and office-space, Audiotec Fischer is once again expanding the company’s facilities in Schmallenberg, and creating even more space for innovative ideas and perfect products. Launch of the new MATCH micro series by introducing the 5-channel amplifier M 5DSP with integrated 7-channel DSP. The series impresses with its high performance in extremely small housing dimensions. At Auto Messe Salzburg in 2016, Audiotec-Fischer showcases its latest technology. A Presentation of the new 8-channel amplifier with 10-channel DSP HELIX V EIGHT DSP. The amplifier opens up new horizons for ambitious car audio fans. The all-rounder offers a range of power and functions, which is hardly expected in such discreet, compactly sized device. It offers ideal prerequisites for complex system concepts – especially if fully active configurations are to be realized with one single and compact amplifier. Introducing the new G amplifier series (G ONE / G TWO / G FOUR / G FIVE). The four power packs combine innovative technology, great functional diversity and the best sound properties at an extremely fair price. Introduction of the new BRAX MATRIX subwoofer ML10 as a further development of the legendary MATRIX 10.1 subwoofer. New materials and sophisticated loudspeaker technologies have revolutionized this woofer. Introduction of the new BRAX MATRIX ML high-end loudspeakers ML3, ML6D and ML6P as a further development of the MATRIX loudspeakers MATRIX 3.1, 6.1 and 6.1 PP. The MATCH micro amplifier M 5DSP is awarded with the prestigious EISA Award in category "EUROPEAN IN-CAR SMART UPGRADE 2016-2017". Expansion of the MATCH micro amplifier series by the 2-channel amplifier M 2FX. Introduction of the digital signal processor HELIX DSP.2 as a further development of the HELIX DSP. In addition to an upgrade of the processor, the hardware and software got a refreshing overhaul and were adapted to current day needs. Parallel to the launch of the HELIX DSP.2, a new version of the DSP PC-Tool was released. In addition to significant improvements in display and user-friendliness (freely scalable graphical user interface, touch screen optimization, etc. ), the range of functions has also been increased to ensure even more precise sound adaptation in the vehicle. Aside from numerous improvements, 32 Bit AD and DA converters were used for the first time. They enabled even higher precision in signal conversion, which optimized the sound even at smaller signal levels. Introduction of the MATCH subwoofer MW 8BMW-D with particularly low installation depth for ultra-flat subwoofer constructions and under-seat mounting in BMW vehicles. The HELIX P speaker series is extended by the 3-way component system P 63C and the mid-range driver P 3M. The HELIX P SIX DSP 6-channel amplifier with integrated 8-channel DSP enriches the car's sound system, not only with huge amplifier power and a cutting-edge DSP, but also with a huge stage effect thanks to the new "Ultra D Class" circuit design. The P SIX DSP’s heart had already proven its performance in the HELIX DSP PRO. The HELIX extension cards HEC BT, HEC OPTICAL IN and HEC AUX IN are now also available for the HELIX P SIX DSP amplifier. EMMA China honoured the Audiotec-Fischer brands BRAX, HELIX and MATCH for dedicated support as a sponsoring partner and for extraordinary product quality. BRAX: The Annual Recommended Brand Award issued by EMMA China. BRAX: The Annual Recommended Imported Brand Award issued by GRAND PRIX. HELIX: The Top Ten Competition Brand Award issued by EMMA China. MATCH: The Annual Recommended Brand Award issued by EMMA China. MATCH: The Consumer Satisfied Brand Craftsman Award issued by MECA. HELIX DSP PRO: The Annual Innovation Design Award by EMMA China. The awards were received by the Chinese Audiotec Fischer distributor, Bai Le Hui Co. Ltd. The range of MATCH speakers was again extended to include vehicle-specific speakers for BMWs vehicles. The new BRAX GRAPHIC line is extended by two audiophile power plants. The two amplifiers are the spiritual successor models of the legendary BRAX X2000 / X2400 amplifiers. The BRAX GRAPHIC GX2000 2-channel amplifier, as well as the 4-channel GX2400, represents the BRAX typical straight-forward design. State-of-the-art Class AB technology ensures unrivalled listening pleasure. In Japan, two Audiotec-Fischer products (BRAX GX2400 and HELIX P SIX DSP) once again have the honour of having awards bestowed upon them by the renowned AutoSound magazine. Introduction of the touch screen display remote control, The DIRECTOR. The control unit has a 2.8” / 7 cm color touchscreen as well as a powerful ARM processor. Thanks to the intuitive menu, various functions of the DSP can be conveniently controlled. In addition, up to 20 additional sound setups can be stored on the DIRECTOR. Two Audiotec Fischer products are awarded with the prestigious EISA Award: The digital 10-channel signal processor HELIX DSP PRO in the category "EUROPEAN IN-CAR PROCESSOR 2015-2016" and the 6-channel amplifier HELIX P SIX DSP in the category "EUROPEAN IN-CAR AMPLIFIER 2015-2016". Audiotec-Fischer celebrates its 25th anniversary with its employees, national and international trading partners, good friends and the BRAX-Team. As an exhibitor at the Automobile Fair Salzburg, Audiotec-Fischer informs trade fair visitors and international trade partners about latest product innovations. Presentation of the new B and E series speakers, which replace the predecessors series BLUE and ESPRIT. The new series of speakers combine strength and precision while offering exquisite sounding components that bring everything you need for great in the car Hi-Fi expirance. The MATCH PP 62DSP amplifier replaces the PP 52DSP. It is the first Plug & Play amplifier, which offers an MEC slot (MATCH Extension Card slot). MATCH Extension Cards allow you to extend MATCH products with further interfaces such as Bluetooth® Audio Streaming (MEC BT), an optical digital input (MEC OPTICAL IN) or an AUX input (MEC AUX IN). HELIX loudspeaker systems P 62C & P 52C enter into the car audio arena and replaced the HELIX systems P236 & P235. The HELIX P series featured a broad array of technologies and material upgrades. Once again, the Schmallenberg Head Office receives an extension of more space for innovation, know-how and productive cooperation. Since the beginning of 2014, additional production rooms and a large training room have been made possible thanks to the companies continued growth. With the introduction of MATCH‘s universal speakers, the latest Audiotec Fischer product range has been expanded by another series of universal car audio components. With the three universal speaker component systems, the MS 42C, MS 52C, MS 62C as well as the coaxial systems MS 4X, MS 5X and MS 6X, the MATCH series now offers non-car-specific editions of the MATCH BMW / VW retrofit systems that came the year before. With the new universal subwoofers MW 10W-D, MW 12W-D, the MATCH series offers two individual chassis with hand-made paper membranes and high load capacity. The new MATCH 10- and 12-inch subwoofers became available in a high-quality, compact bass reflex housing under the designation MATCH MW 10E-D and MW 12E-D. The MATCH DSP provides a perfect roundup of MATCH universal sound systems. The freely configurable, digital 6-channel sound processor can be connected to factory radios via optional 5.00 m Easy Plug Cable EPC 5.2 and ISO plug. The DSP is amongst others, an optimal play partner for the MATCH universal amplifiers MA 10FX and MA 40FX. With the 10-channel signal processor HELIX DSP PRO, Audiotec-Fischer was once more setting the standard as a high-end specialist in the DSP discipline. By using the latest generation of high-performance audio DSPs with 64 Bit resolution, this technological masterpiece provided tremendous processing power. If needed, the HELIX Extension Cards allow for the expansion of the HELIX DSP PRO with a Bluetooth® audio streaming function, a further optical digital output (HEC BT), an optical digital input (HEC OPTICAL IN), an AUX input and a further optical digital output (HEC AUX IN). For car audio specialists and everyone who wants to enjoy their favorite music in the best possible quality, the DSP PC-Tool Software version 3 started a new era with its optimized configuration menus, even easier channel routing via a drag & drop GUI, equalizer and gain-level refinement in 0.25 dB steps. As well as a separate routing matrix, the new software generation offered an even more precise setting of all parameters plus a multitude of additional functions. The software integrated real-time analyser features a breakthrough "AutoSet" function, which makes every equalizer adjustment quick and easy. With two new OEM partners - Volvo Trucks and HACE (Honda Accessories) – Audiotec-Fischer strengthened its position as an automotive supplier. The certification according to DIN EN ISO 14001: 2009 by TÜO Böblingen confirms Audiotec-Fischer GmbH‘s conscientious handling of the environment and its resources. The Canadian electronics specialist, Trends Electronics International becomes the distribution partner of Audiotec-Fischer for Canada. The first edition of the in-house DSP Setup Guide was made available. It provided a professional yet easy-to-understand guide for creating sound setups for Audiotec-Fischer DSP products. Audiotec-Fischer is sponsoring the EMMA ASIA FINALS 2014, a unique, highly public sound-off tour through China, Indonesia, Japan, Malaysia, the Philippines, Thailand and Taiwan. The HELIX DSP PRO is honoured with an award by Japan's leading magazine "AutoSound" for in-car entertainment and multimedia. Cooperation with the caravan industry starts to provide a new arena, which will continue to expanded in the future. Market launch of the new HELIX DSP at the CES in Las Vegas. The first digital full range amplifier, the MATCH PP 82DSP is brought onto the market. With an efficiency of more than 90 % it was not only suitable for high-end enthusiasts, but also for Hybrid and electric cars as the perfect solution for powerful sound. In September, an Audiotec-Fischer product was once again honoured with an EISA AWARD at the IFA in Berlin. The digital signal processor HELIX C-DSP received the prestigious “Innovation Prize” in the "EUROPEAN IN-CAR PROCESSOR 2012-2013" category. MATCH becomes universal: With the presentation of the MATCH universal amplifiers MA 10FX and MA 40FX, the MATCH series was expanded for the first time with new, more flexible components. These universal products offer more freedom when assembling sound systems than the Plug & Play series, while also taking into account the virtues of simple installation and compact dimensions. The MATCH‘s component series for vehicle-specific loudspeakers was extended to bring the best sound into vehicles without the need to change anything in the interior. Their vehicle-specific baskets and prefabricated cables allowed for simple installation in original installation positions. Founding of AudioArt GmbH as a joint venture between Audiotec-Fischer and the Lennestadt based company HJE. Development and production of high quality Flat HiFi systems in a picture frame format was started. With Emirade Ltd. Audiotec-Fischer gained a competent sales partner in Iran. The brand MATCH becomes a new international EMMA sponsor. This meant that Audiotec-Fischer GmbH was now also involved in the EMMA scene with its latest brand, and was able to place another brand logo on the international sponsorship list. MATCH the third brand beside BRAX and HELIX was born. It represents innovative Plug & Play sound systems. More Plug & Play amplifiers and subwoofers were developed and launched at the end of the year. The new PP 41DSP together with the subwoofer amplifier PP 1SUB are the guarantor of success to upgrade a factory system. Since May we are officially listed as supplier for Volkswagen accessories and produce OEM sound systems for VW Golf VII and UP! The European Imaging and Sound Association (EISA) nominated HELIX C-DSP as best product 2012-2013 in the category in-car processor. In Japan a BRAX product received the Golden Award for the fourth time from AutoSound magazine - this time the MX 4. Introduction of the new high-end amplifiers, BRAX MX4 and MX 2, completely re-engineered models of the former X4 / X2. Development of the first stand-alone DSP under HELIX brand began. Production start of OEM amplifiers and subwoofers amongst others for KIA Motors Germany and Volkswagen accessories. The European Imaging and Sound Association (EISA) nominated the HELIX PP 50DSP as best product 2011-2012 in the category of “In-car Integration”. BRAX and HELIX products were chosen in 18 categories as product of the year by the readers of German AutoHiFi magazine. In Japan we received for the third time the Golden Award from AutoSound magazine. We expanded the HELIX Plug & Play series with specially developed subwoofer models to improve the sound quality of factory sound systems. BRAX and HELIX products received awards in seven categories for product of the year. In Japan, we received the Golden Award from AutoSound magazine once more. Introduction of a new BRAX amplifier generation, the Matrix X4 and X2. A newly developed amplifier generation with impedance independent power and software controlled hardware. Within a short time, the amplifiers received the Golden Award from Japanese AutoSound magazine and of course, they were nominated as the new reference amplifiers by the German magazine, AutoHiFi and Car & HiFi. 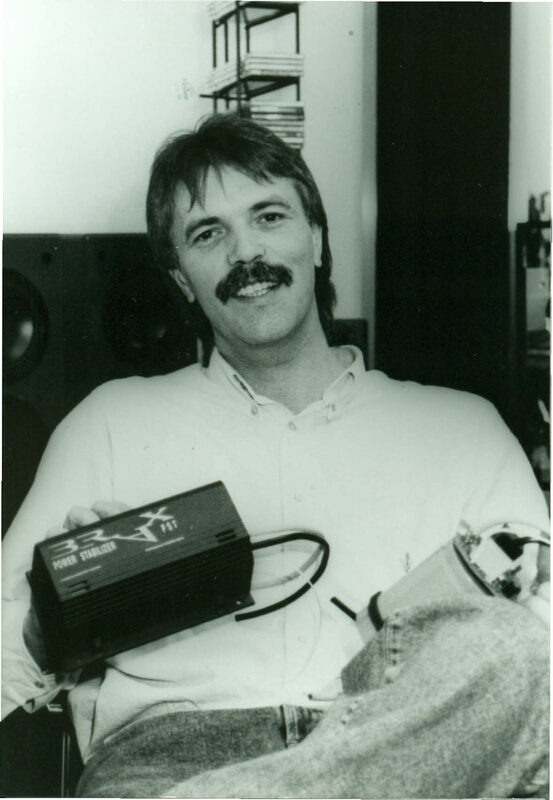 Under the HELIX brand, the first Plug & Play amplifiers were successfully brought in to the market. Launch of HELIX AFC, a 6-channel high-low adapter in order to integrate amplifiers into factory sound systems. Introduction of the first BRAX subwoofer, the BRAX MATRIX 10.1 - made in Germany. BRAX and HELIX products are voted in 8 categories as “product of the year”. 2007 Introduction of the complete new HELIX generation. Presentation at the Sound Symposium in May at the Elspe Festival in the Sauerland with 28 nations from around the world in attendance. Introduction of the high-low adapter HELIX AAC in order to integrate aftermarket amplifiers in factory sound systems. Presentation of G-Control, the first product for a car-tuning branch. Its purpose was to record and display the G-forces a car experiences. ISO 9001:2000 certification was achieved and held by TÜO Böblingen. Presentation of HELIX XXL Power Station, a software controlled power stabilizer up to 200 Ampere with master/slave function for parallel connection of more devices. The HELIX A6 Competition amplifier recieved the EISA award. A contract was signed and orders place from Volvos bus division to develop and produce a signal-management system. Presentation of the new HELIX amplifiers, B TWO and B FOUR with integrated managing software to record all relevant data pertaining to the amplifiers operation. They were also power and temperature optimized. The decision for ISO 9001:2000 was made. Production of the first OEM amplifiers for the Volvo bus division began in December. The companies head office building was extended by 240 square meters. Introduction of the HELIX Competition Line of high-end amplifiers and speakers. This year saw Audiotec-Fischer go one step futher to improve car audio through the development and release of the damping material, BRAX eXvibration. HELIX X was just finishing development, a measurement device to adjust the frequencies of amplifiers. BRAX amplifiers were upgraded to version .2. Presentation of a new mono channel amplifier, the HELIX HXA 1000QX at the CES in Las Vegas. We Launched the X2000/ X2400 GRAPHIC Edition at the Car & Sound in Sinsheim. Official launch of the BRAX GRAPHIC 6 and GRAPHIC PRO high end speakers. Development of an OEM amplifier for Porsche. Introduction of the low cost HELIX amplifier series, the HXA 20 and 40X. Exhibiting the BRAX X2000 at CES in Las Vegas, the amplifier was given the award for “Best Innovation and Engineering”. Presentation of the HELIX product line at the Car & Sound in Sinsheim saw the introduction of the first HELIX amplifier, the HXA 400. 1998 also saw the HELIX product portfolio extended to include speakers and subwoofers. 1997 saw the introduction of two new BRAX amplifiers, the X1000 and X2000 at the CES in Las Vegas. The power stabilizer IPC got awarded the “Best Innovation and Engineering Award” from the CES organization. The international and national trade press gave recognition to the new amplifier technologies and were given several reference awards. BRAX X1000 was choosen as “product of the year” by the readers of German autohifi magazine. The sales of HXA 400 were a great success. This amplifier was the winner in a test field and nominated as “reference class”. HELIX amplifier range was extended by 5-channel models. Move into the new company building in the industrial area Lake II in Schmallenberg. Introduction of the brand HELIX at the Car & Sound fair in Sinsheim. In November was the first presentation of BRAX X2000 high-end amplifier in Bangkok. Business partners from Indonesia, Singapore, Malaysia, Japan, Korea, Taiwan, Hong Kong and Philippines all attended this event. At the same time, the BRAX X2000 was voted as the“reference” amplifier by German Car & Hifi magazine. We Launched a pair of 4-channel amplifiers, the X1400 and the X2400. Due to many requests for reasonable priced amplifiers, a new generation was developed and presented under the brand name of HELIX. In 1995 we returned to CES in Las Vagas to host yet another exhibition. 55.9% of the AutoHiFi readers again choose BRAX IPC as “product of the year”. 1994 saw the continuation of development of the distribution network. Frequent attendance at national and international events. Audiotec Fischer was one of the founders of the Car & Sound fair in Sinsheim, Europe’s biggest trade fair for mobile electronics. BRAX IPC is voted as “product of the year” by the European trade press. The readers of German AutoHiFi magazine choose IPC as the device of the year. The earlier events of the year were instrumental in laying the cornerstone for the new company building in Schmallenberg, which has become the home of Audiotec-Fischer ever since. In 1993, a presentation of the BRAX PST was held at CES in Las Vegas. As a result: the international business was expanded to include Asian markets. Development and market launch of BRAX IPC, a capacitor with high capacity and protection electronic. Until today BRAX IPC is well-known for best quality worldwide. The European trade press gave BRAX IPC the innovation award. The portfolio expanded with more products such as Power Station, Power Tester and shielded power cable. Start of the development of high-end amplifiers for mobile electronic. In 1992, the company changed its corporate form to a Limited Liability Company with Heinz Fischer as General Manager. Later this year, the first presentation of the BRAX PST, an additional power supply device. The feedback was nothing short of awesome. Due to several reviews in the trade press, the number of dealers increased to over 800 within a short period. The first business relationships with European distributors quickly ensured from this point. Research and development of an additional power supply for low voltage systems to improve the sound quality. Registration of the BRAX brand name. Formation of the company Audiotec-Fischer by the founder, Heinz Fischer. The first business model was the development and production of high-end home speakers.